This is a variety originating around Carolina in the U.S. and named after a small relative. It appears to be a hybrid between S. leucantha and elegans. It is an evergreen rounded shrub about 2m high with lots of stems widening the plant towards 2m and indigo fls. autumn onwards. Leaves are an attractive greyish green. It will tolerate part shade or full sun is probably best. It is drought hardy and can take frost to -2C. Since 2009 we have Sth. 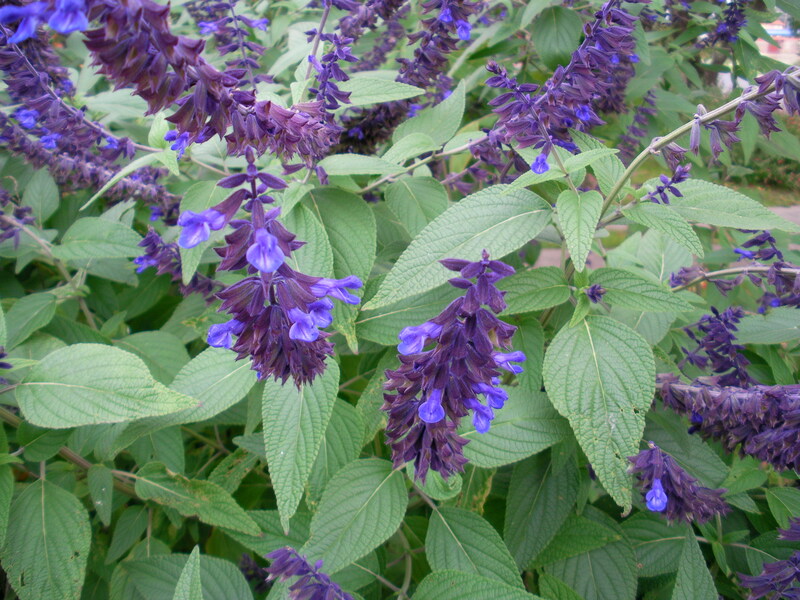 Australian varieties of this variety, ‘Meigan’s Magic’ with white corolla and the indigo calyx which is a popular plant and ‘Blue Abyss’ all indigo but reputed to flower for a longer period than ‘Anthony Parker’. Me being in a frosty area it is sometimes difficult to see a plant’s full potential.